Dry & Steam Leather Upholstery Cleaning Markhouse E17 | RDA Cleaning & Maintenance Ltd.
With more than 8 years of service and experience we can guarantee you the best professional upholstery cleaning Markhouse E17 services! Our skilled upholstery cleaners can cope with over 20 kinds of upholstery providing you great results in any case. To remove unpleasant odour, stains and freshen the look of your upholstered furniture, call RDA Cleaning & Maintenance Ltd. at 020 3404 1646. Hire an expert home and office cleaning company now and enjoy a discount when you get more than one of our treatments at once. We require no deposit for booking us, nor will we charge you extra for weekend and bank holiday appointments! 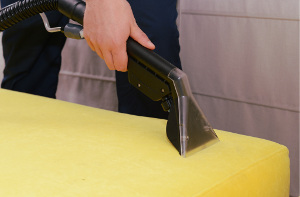 Hire Our Upholstery Cleaners In Markhouse E17 And Get Perfect Home Hygiene! Our upholstery cleaners in Markhouse E17 know that the ideal approach requires deep disinfection and proper sanitizing method application. Our first-class upholstery cleaning company applies steam upholstery cleaning in case of high level of dirt, old pieces of furniture and also synthetic materials. We also remove the dust from the inside. By adding hovering, deodorizing and stain treatment in the procedure, RDA Cleaning & Maintenance Ltd. offers you full upholstery treatment at a bargain price. Book Our Expert Upholstery Cleaning In Markhouse E17 Now! If you wish to use our upholstery cleaning services Markhouse E17 then please give us a call at 020 3404 1646 or use our online booking forms and we will be straight on our way to help you you with your harsh cleaning tasks.